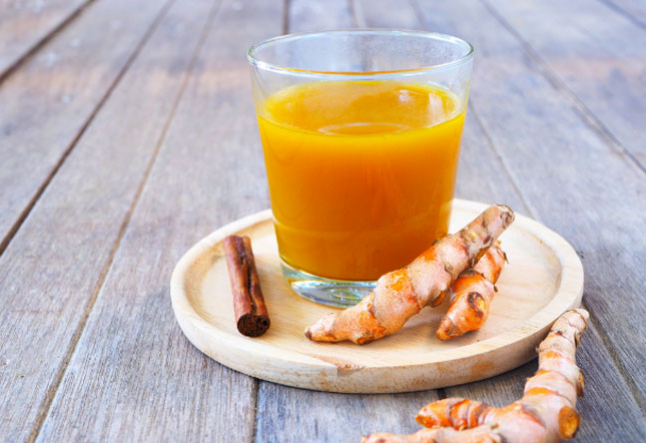 This is centuries-old Indonesian recipe for jamu, a healthy elixir, is a perfect way to jumpstart your morning. Throughout Indonesia, Jamu Gendong (individuals who carry medicinal drinks), head to traditional markets before dawn to purchase local ingredients and prepare their healing tonics. They pour the special liquids into various recycled bottles, cart the tonics in a bamboo basket on their back, and travel a regular route on foot selling their jamu door to door. Directions: Juice the turmeric and the limes. Mix with honey. Add cold or warm water to your desired dilution. Stir and drink!